Traditionally, senior citizens have lagged behind their younger counterparts in adapting to new technology. This has been true, of course, when it comes to mHealth, as well; an unfortunate truth, since the elderly have much to gain, in independence, decreased hospital admissions, and a sense of control over the health declines that can accompany aging. But as we saw in our article “Technology Applications and the Fast-Moving Elderly: The Facts on the Ground,” seniors’ willingness to engage and familiarity with technology are actually more advanced than many assume. Of course there’s still room for improvement, but if we look closely, we can see the elderly are well on their way to joining the world of mobile healthcare that is coming closer every moment. In fact, sometimes the numbers are surprisingly hopeful. According to the Deloitte Center for Health Solutions survey, 53% of seniors and 55% fifty five percent of baby boomers research health treatment information online. Take a look at that in comparison to other age groups. Of adults online, seniors almost keep apace with their younger counterparts when utilizing the Internet to seek out health information. A large part of the hurdle is simply training the elderly in the technological skills required to engage in mobile health. Take just the Internet for example, as an accessible technology. A study designed to train older adults how to use the Web to locate health information was highly informative about seniors’ approach to changing healthcare dynamics. Up until very recently, seniors have relied mainly on their doctors for healthcare information. This study, “Consumer Informatics: Elderly Persons and the Internet” in Perspectives in Health Information Management, set out to find out whether if older adults had the proper training, they would indeed use the Internet to garner health information, and thus more actively participate in their own care. Training occurred in public places like libraries, to enable access for those who didn’t have home computers. After training, a follow-up survey was sent out to the subjects, to see how use of the internet vis-a-vis their healthcare had changed. There were some amazing transformations. A full 86.5% of respondents had indeed looked up health information on the Internet since the time of the training. And that, as Frost would have said, made all the difference. I was impressed with the enterprising approach of a good 48.1% who stated that they now had a set of medical Web sets from which they retrieved healthcare information. All this led to a significant reversal in the way most elderly were used to viewing the doctor as the final arbiter, as well. A small number of participants actually went back to the internet after their appointments were over, and the physician had his say. 15% went back to “check on medications, 6% went online to “find updates to information concerning a specific health problem,” and a surprisingly large (given yesteryear’s approach to Doctors with a capital ‘D’) 15% went back to “verify” information they were told during their visit. Looking pretty good, I’d say. Nevertheless, what seems clear is that once seniors are online–and more courses to teach them and provide access, like the “Consumer Informatics” example above, would be most helpful–they make use of that access to find out about healthcare. Not surprisingly, turns out that a number of seniors like what happens to their healthcare experience with their newfound knowledge, too. (To be fair, the healthcare Internet experience wasn’t all light and joy for the seniors. 39% found it frustrating because it was hard to find what they were looking for, and 37% found it confusing because there was too much information [and they’ve found a sympathetic listener in me!]). Seniors have grown and developed in their usage of online health information over time, as well, making it more their own and creating a more proactive role for themselves. 16% of said they had gone online to follow news coverage of health policy issues. Priorities were further elaborated on two years later in a 2009 Canadian study in Canadian Social Trends. I note here the new interest in lifestyle issues, absent in the 2005 data, assumedly preventative care, taking responsibility for individual health to the next step, just as mHealth hopes people will do, working to decrease the number of preventable illnesses and, at the same time, doctors’ visits. Also interesting is the significant percentage looking into alternative care, moving away from physician-centered treatment plans, and investigating care the way the individual would like to have it, even if it’s off the beaten path. Seniors seem to progress by the year into using technology to take personal responsibility for and control of their treatment. Their progress has moved beyond just Internet searches, as well. In fact, just as I was reviewing statistics and finding numbers that I found hopeful, but still left room for improvement in terms of Web utilization, what should I come across but a study where seniors blew others out of the water. It involved personal health records (PHRs), which, as defined by the article, are ” an Internet-based set of tools that allows people to access and coordinate . . . lifelong health information.” This would be a great step in taking responsibility for one’s own healthcare–but widespread use of PHRs would clearly be challenged by lack of Internet access and know-how, and one might think seniors would lag behind here. Take that, you young whipper-snappers. 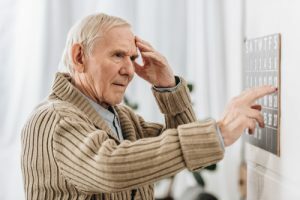 Another area where the elderly are jumping on the technology bandwagon is in fall-detection technology, which allows them to live safely and independently longer. Consulting firm Frost and Sullivan’s research on the North American Personal Emergency Response Systems (PERS) Market found that revenue increased 15.2% from 2009-2010–and is expected to continue to grow each year at least through 2017. The single largest growth driver in this market has been the recent surge of revenue from new fall detection technologies. And who should be backing that surge? That’s right, our seniors. 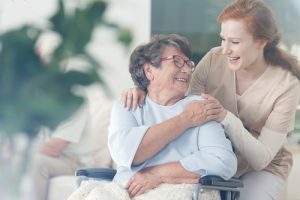 While the following percentages are low, they’re still a start, indicating that the elderly have their feet firmly pointed in the direction of mHealth–they just may need a little bit of a gentle push to actually walk through the door. In 2010, Pew reported that 5% of cell phone users age 65+ have an application on their mobile phone to help them track or manage their health. 8% of cell phone users age 65+ have used their device to look up health or medical information. The app Walk n’ Play, for example, is a (free!) iPhone app that uses motion sensors to measure the amount of physical activity seniors do. Over 10,000 people have downloaded it, which is not too shabby. The Senior Journal projected that by the end of 2012 more than 3.4 million elderly (in the US alone) will be using networked sensor applications to monitor (and hopefully improve) their health. And more innovative health management approaches are being researched all the time. The potential for development of MHealth technology for the elderly is large–and the benefits to be reaped are great. I’m excited enough about it to start writing about the details now–but I’ll contain myself until the next piece. With the seniors more on board with each passing day, they are less at risk of being left behind in healthcare’s future, and are most likely to benefit more than any other demographic. So, seniors, keep adopting those PHRs, buying those PERS, and downloading those mobile health apps. Your future really is now.